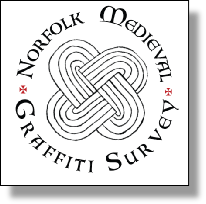 The Norfolk Medieval Graffiti Survey (NMGS) was established in early 2010 as an entirely volunteer led community archaeology project. The aim of the initial pilot project, which ran until June 2012, was undertake the very first large-scale systematic survey of medieval churches to identify and record pre-reformation graffiti inscriptions. The pilot project involved the full survey of 65 (10%) of Norfolk’s medieval churches and scoping surveys in a further 40 churches. During these surveys it was discovered that over 80% of those churches surveyed contained significant pre-reformation graffiti inscriptions. 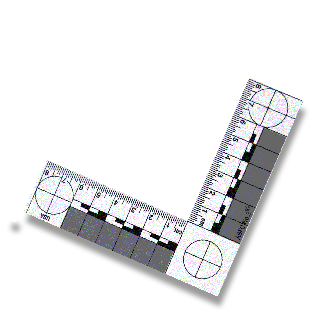 Although the NMGS is a community archaeology project it aims to undertake surveys, recording and cataloguing to the highest professional standards. The project records all of its result with the church authorities and the local Historic Environment Record (HER) - thereby ensuring that the work will be available for generations to come. The NMGS is also strongly committed to publishing its findings and making them available to the wider archaeological community. The NMGS is an opportunity for real people to undertake real and meaningful archaeology. The Norfolk Medieval Graffiti Survey is changing the way we look at the very fabric of our historic church buildings. 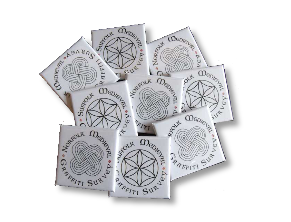 Where instances of medieval graffiti were originally thought to be relatively rare within the county, the survey has now established that the phenomena are far more common and tell us a great deal about the people who once lived and worshiped there.